Larry Shealy began studying Gracie Brazilian Jiu-Jitsu in 1995 at the Gracie Jiu-Jitsu Academy in Torrance, California. He is a Black Belt in Tae Kwon Do and received his Black Belt under the direction and instruction of Master Carlos Gracie, Jr. in 2008. Larry is also a Certified Instructor in the Gracie Barra Jiu-Jitsu System and was the Gracie Barra Representative in Jacksonville, Florida. 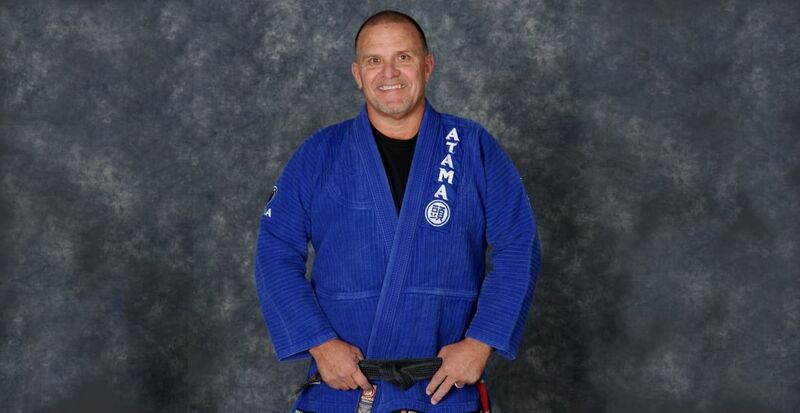 Larry Shealy has also learned Brazilian Jiu-Jitsu technique over the years from Royce Gracie, Rorion Gracie, Rickson Gracie, Royler Gracie, Rolker Gracie, Relson Gracie, Rodrigo Gracie, Carlos “Caique” Elias, Jacare’ Cavalcante, Charles Dos Anjos, Steve Hall and Aparacido Bill. He has traveled extensively in the United States to study Brazilian Jiu-Jitsu and also two times to Rio de Janiero, Brazil to further his Brazilian Jiu-Jitsu studies. He has trained at the world famous Brazilian Jiu-Jitsu academies: The Gracie Jiu-Jitsu Academy in Torrance, California (Rorion and Royce Gracie), Gracie Barra in Barra de Tijuca, Rio de Janiero, Brazil with Carlos Gracie Jr. and Marcio Feitosa and Gracie Humatai in Rio de Janiero Brazil with Royler and Rolker Gracie. He currently trains with the Machado family and received his 2nd Degree Black Belt in Brazilian Jiu-Jitsu under Master Rigan Machado on February 15, 2014. In 2003, Larry Shealy began developing the Kid-Jitsu® program along with the Kid-Jitsu® Values Program. This trademark registered program teaches children the fundamentals of Gracie Jiu-Jitsu, while weaving targeted values into each lesson within the Kid-Jitsu® Children’s Curriculum. Larry Shealy earned a Bachelor of Science Degree in Marketing from Florida State University, a Master’s Degree in Business from Jacksonville University, and has had a 20+ year career in the Medical Device Industry in Sales, Sales Training, Sales Management, and Director level’s. He retired from the Medical Device Industry in 2001. Larry Shealy is also a former City Councilman in Neptune Beach, Florida and has been active in his community with church, his school, homeschooling his 9 year old, and is known to be a big family man! God, Family and BJJ are his main interests and he has dedicated his life to this lifestyle. 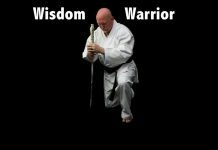 Larry Shealy received a Black Belt in Tae Kwon Do in the mid-1990’s and had the good fortune of being given a ticket for admission to a Rickson Gracie seminar in Jacksonville, Florida. 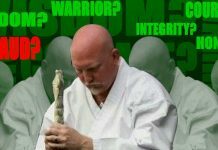 What he learned in a 2-day seminar was the catalyst for making not only an immediate change in his martial arts disciplines, but also a long-term change in his lifestyle and eventually his career. During this same time frame in the mid-1990’s Larry Shealy was at the height of his success in the Medical Device Sales Industry and he spent a significant amount of time in California where he began training at the Gracie Academy in Torrance. It was also around this time that a rather strange and unique event at the time began appearing on Pay-Per-View: The Ultimate Fighting Challenge. (Later the name was changed to the Ultimate Fighting Championship). It was at this time that Larry, like many others, observed a skinny Brazilian kid beat all comers in 3-4 no holds barred, bare fisted fights in a given night. Of course that skinny kid was Royce Gracie, and along with his family-style of Gracie Jiu-Jitsu he single handedly changed the way fighting would be done forever. Gracie Jiu-Jitsu became a household name and the fight game was changed forever; and so was Larry’s life. For Larry, Brazilian Jiu-Jitsu had morphed from a hobby and a means to stay in shape, to a total way of life. Along with the Black Belt in TKD and Brown Belt in Gracie Barra Jiu-Jitsu, Larry Shealy was a Certified Instructor in the Haganah F.I.G.H.T. System under the leadership of Haganah Founder, Mike Lee Kanarek. He is also a Certified Instructor in Muay-Thai under world renowned Master Toddy out of Las Vegas, NV. Larry Shealy taught and trained in Brazilian Jiu-Jitsu and Kid-Jitsu® 6 days per week, personally teaching over 20 classes in a given week. He trained and sparred with the young adult Brazilian Jiu-Jitsu students several times per week. He also taught Haganah F.I.G.H.T and Haganah F.I.T. five times per week. He had over 200 students in his school ranging in age from 4 years old to 60 years of age. Today, Larry Shealy is a 2nd Degree Black Belt in Brazilian Jiu-Jitsu under the legendary Master Rigan Machado. He is the Head Instructor at Jacksonville Brazilian Jiu-Jitsu in Neptune Beach, Florida and the Regional Director for the Rigan Machado Jiu-Jitsu Association. He is the Founder of the BJJ program for children called Kid-Jitsu® which is a program that teaches martial arts instructors how to effectively teach Brazilian Jiu-Jitsu to children in an organized, safe, and technically efficient manner. Kid-Jitsu® also and includes a world class C.O.R.E. Character Development Program. His students say that he has a big heart, is a master motivator, is extremely loyal and has the God given ability to draw out the best in each student, young and old, that he comes in contact with. 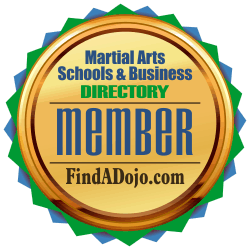 Visit Jacksonville Brazilian Jiu-Jitsu on the Martial Arts Schools & Businesses Directory. 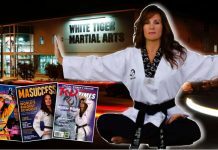 To contact Larry Shealy or Jacksonville Brazilian Jiu-Jitsu visit their listing on the Martial Arts Schools & Businesses Directory by clicking on the link image on the left.